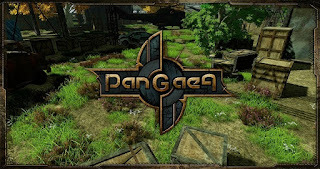 LVR Studio have officially announced their latest MMO title yesterday: Pangaea, a game set to be released sometime towards the end of 2016. From currently available footage and actual data, the game looks like a fairly run-of-the-mill, post-apocalyptic MMO, which will be based on several time-honored MMO elements: players will team up in a post-apocalyptic world, braving the dangers and taking on various mutant creatures and plants in an effort to survive. Weapons will be upgradable, players will be able to cooperate and to trade, in fact they will have to team up against some of the more daunting adversities as they will likely not be able to tackle them alone, regardless of level/skills. Different groups and factions can be joined - nothing surprising thus far. Pangaea does have a few surprises up its sleeve though, features which are obviously aimed at setting it apart from other titles of the genre. The area over which the game-world will be spread out will cover some 90 square kilometers, and given how dangerous and difficult travel shall be, there will indeed be players who will never meet within the game-world. The game-world is also persistent and every single one of players' actions will have consequences which shall alter the smart ecosystem. Given the sheer scale of the game, besides the action and suspense, exploration will obviously be a major part of the Pangaea experience. Under the hood of the superb graphics there's an Unreal 4 engine purring, well capable of handling the next generation physics and visuals that the creators are set on serving up. The game is developed for the PC as well as for Mac and it will feature full support for Xbox One and PlayStation 4. As said above, the game is due out at the end of 2016, although a specific release date has obviously not been announced yet. Philip Thalberg works for Gosugamers, the web's top Overwatch eSports spot.